The very fertile, flat plains in Puglia measure right up there with those of Emilia Romagna and the Po Valley. 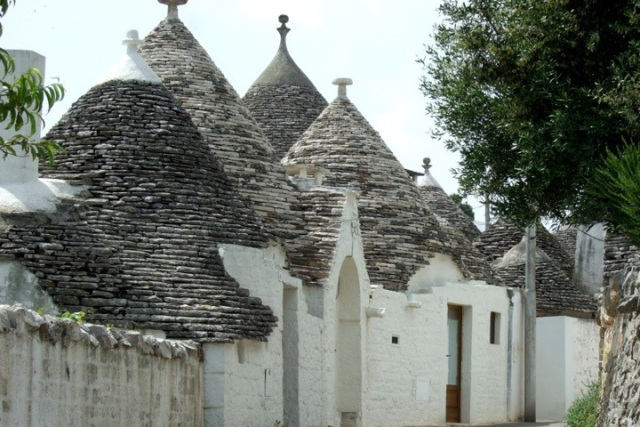 Vineyards and olive trees are prevalent as you travel throughout the region as well as the unique trulli white, stone capped homes. Plus, once your done exploring the region, the port town of Brindisi is a great launching point to shoot over to Greece. The southern cuisine of Italy is rich in fresh vegetables and a lot of the dishes of Puglia are influenced by this. Puglia is also a region well known for it's olive oil. In addition, as you can imagine due to its proximity to the Adriatic and Ionian Seas, that seafood is another popular option. Add a little of the popular pasta, orecchiette, of the region and viola! You have a taste of Puglia in your own home. The wine industry has dramatically changed over the years with Puglia in years past being a region for producing quantity with much of it's grapes shipped north, to what it is today where quality wine is now being produced here and at some great values. Puglia is a region whose reds are making more of an appearance in the wine market than ever before. 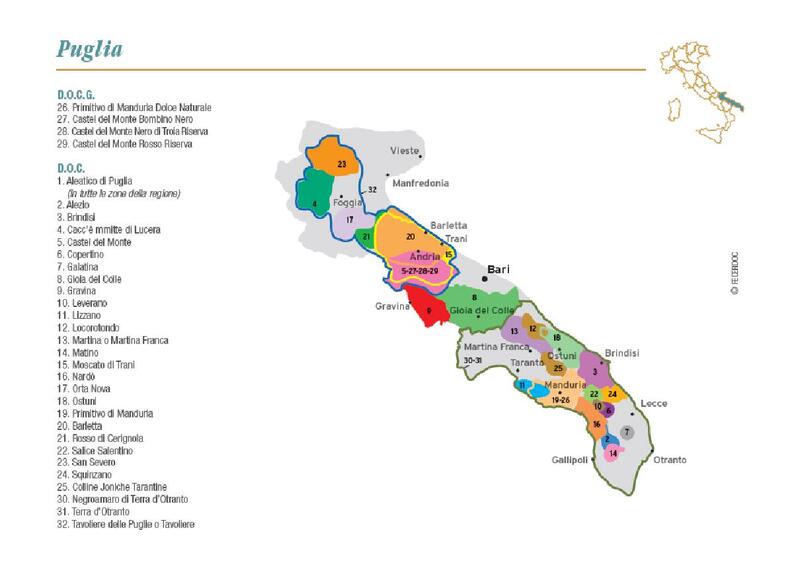 Grapes including negroamaro and primitivo are helping to get these wines more noticed. The whites here are mostly made of bombino bianco, verdeca and chardonnay. This Saturday April 2nd you'll get a variety of what our Italian bloggers group has to offer and here is a preview below. Make sure to also join our live Twitter chat at 11am EST on #ItalianFWT. If you'd like to join our group it's not too late. Email me at vinotravels at hotmail.com. 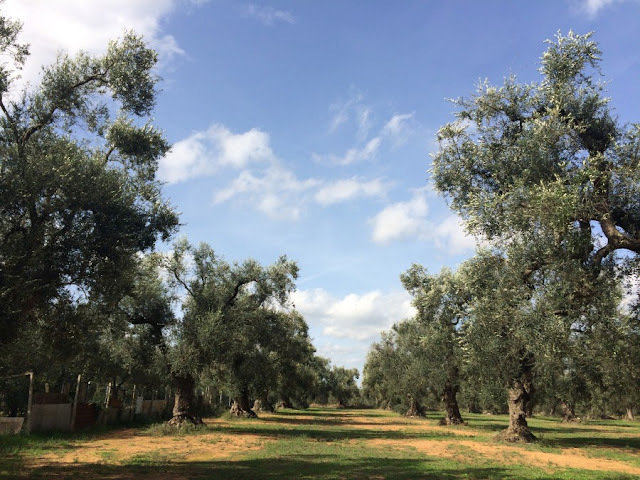 Rockin Red Blog - Puglia: Take Me Away!